What is Your SDS Telling You About the Product You Are Using? When working with hazardous materials, it is important to be alert to the specific nature of the dangers that are posed by those materials. This also means it is important to identify and differentiate one hazardous material from another in order to effectively apply precautionary measures. 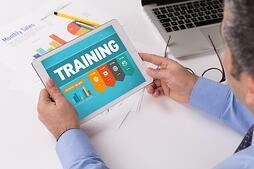 Knowing how to read an SDS is a must for managers, executives, and their employees. Health & Safety professionals know that the ability to understand and read a Safety Data Sheet (SDS) is a fundamental skill for any workplace committed to employee safety. 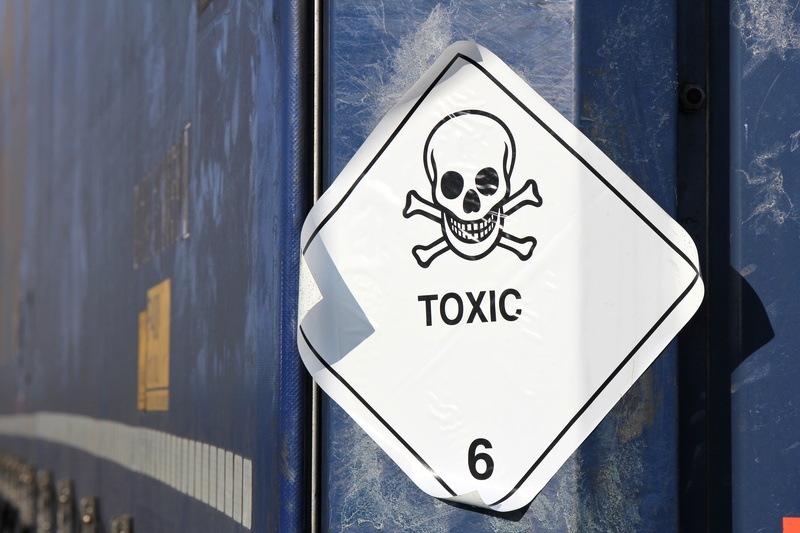 Although a full 16-section SDS is required by the Globally Harmonized System, not every section addresses the same type of information that an employee or safety manager will need. In this article, I’ll be covering the section related to hazards associated with using/handling materials. By understanding these sections, you’ll be equipped to put the proper preventative and protective measures in place to reduce the risk of injury. In this section, general information regarding the material and the supplier are listed. This includes any means of identification for the product (e.g. Product Code, Product Name). These means of identification will give a point of reference between the Label and the SDS, allowing a user to quickly find the proper SDS, should it need to be accessed. This section also includes information and emergency contact information for the user to get any additional information regarding the product or seek help in the case of an emergency. Finally, this section will include information regarding recommended uses of the material, or any uses recommended against. This information allows the user to make sure that the material is used in line with the manufacturer’s recommendations. In this section, the risks and hazards associated with the material are identified. This communicates to the user in what ways this material may be dangerous as wells as some general guidelines towards safely using the material. 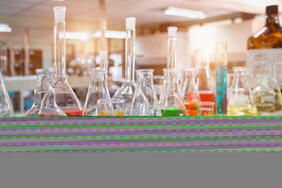 This is also the section in which the elements that need to be displayed on a label can be found. The GHS Hazard classifications are further subdivided into Physical Hazards, Health Hazards and Environmental Hazards. These classifications allow the user to be aware and on the lookout for those hazards. The classifications listed under the GHS Hazard Classifications determine all the information found in the rest of this section, with the exception of Other Hazards (or Hazards Not Otherwise Classified). The Pictogram, Signal Word, and Hazard Statements give the user a quick reference and description of the hazards. 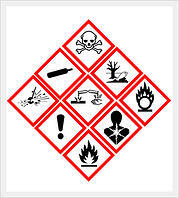 The Pictograms provide a visual representation of the nature of the material’s hazards, the Signal Word communicates severity of the hazards with one word (Warning or Danger), and the Hazard Statements describe the effect of each hazards in one short sentence (e.g. H300 – Fatal if swallowed). This provides a concise and effective description of what the user should look out for when using this material. Precautionary Statements related to disposal of the material. These standardized phrases offer general guideline to mitigate risks, to respond to incidents with preliminary first-aid or fire-fighting advice and to properly store and dispose of the material. The final category in this section is the Other Hazards. This can also be referred to as Hazards Not Otherwise Classified. This category communicates any additional hazards that are not covered by the GHS, such as risks of dust explosion or biohazards. In this section, the chemical composition of the material is listed. This includes the chemical name, CAS number and concentration or concentration range of the hazardous chemicals. This allows the user to identify which chemicals are the principal contributors to the GHS Hazard Classifications and implement specific procedures or protective equipment to use to mitigate those hazards. In addition, the GHS classifications of the pure chemical can be included in Section 3, as well as other means of identification such as EC number or other registration numbers. In this section, the descriptive physical and chemical properties of the material are provided. This allows the user to identify material in cases of improper secondary container labeling or spills, and it allows the user to make sure the product they are using matches the description given by the supplier. Any significant deviation from this description could indicate something wrong with the material or a different material entirely. Here is a list of commonly listed properties and how that information can be used to increase work place safety. This is a measure of the mass of material for a given volume. This can also be found as “Relative Density” or “Specific Gravity”, both of which are the density of the material divided by the density of water. This property will indicate how this material will behave in relation to other materials (e.g. a lower density than water indicates that a material would float on water). This can be very useful in the event of a spill, allowing the user to predict whether or not this material will be on the surface, at an intermediate layer or sinking to the bottom of a mixture based on the densities of all materials involved. This is a visual description of the material, including physical state, color, and consistency. This gives a reference to the user for a visual confirmation of the identity of the material. This can also help visually identify an unlabeled or spilled material. This is a description of the expected odor of the material and the vapor concentration at which a person would usually start detecting that smell. This is additional information that allows to identify the product and provides a benchmark to estimate of vapor concentration based on smell. In other words, by knowing the odor description and threshold, a user can identify whether or not the material is present in the air at dangerous levels (based on Permissible Exposure Levels listed in Section 8). This is a description of how well the material mixes with water. Based on the information listed for this physical property, a user can predict the expected behavior of the product if it is mixed with water (e.g. whether it will form a separate phase or dissolve completely). This is the temperature at which this product will catch fire when exposed to an ignition source such as a spark or flame. The flashpoint provides more specific information on the flammability of the product and helps identify which products should be stored at colder temperatures to avoid fire hazards. These are the temperatures at which the product melts or freezes, and boils. They indicate the temperature at which the physical state of the material would change which helps identify which temperatures might be too low to store the product, since freezing could damage containers and cause leaks, and which temperatures might be too high to store the product, leading to losses through evaporation. This is a numerical indicator of acidity or alkalinity, based on the pH scale. Acidic products have a pH below 7 and alkaline products have a pH above 7. This physical property helps identify how corrosive product might be and helps assess which other products are incompatible (products with low pH and high pH should be stored separately). Because the information listed in the above sections of an SDS (in addition to other sections you’ll find in the 16-section GHS SDS) is important for knowing how to identify, store, and use a chemical product, it’s not only your responsibility to provide your employees with accurate and up-to-date SDSs – you are also required by OSHA, WHMIS, and CLP regulations to provide adequate training to your staff about how to read and understand an SDS. Provide training to employees about the Globally Harmonized System (GHS) standards. How to read all 16 sections of an SDS. Provide access to copies of SDSs for any material to which they have a risk of exposure. To provide SDSs according to federal SDS language laws. You may or may not be required to provide training in a language other than English if you employees cannot adequately understand verbal English (for example, see OSHA OSHA 29 CFR 1910.1200(h)). Want to learn more about what goes in to each section of an SDS and how the information plays a vital role in preventing injuries and mitigating risk? ERA is providing an on-demand free webinar that will give you a deep-dive into SDS sections, SDS authoring, and how it all relates to Health & Safety compliance. How to keep up with changing GHS standards around the world. Click the button below to access the on-demand SDS webinar. 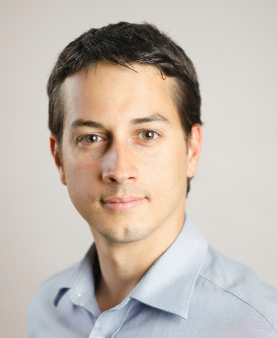 Francis is a GHS Regulatory Specialist at ERA and he works as a Project Manager and Analyst.